Boot.com has major equity for a startup, or incubator looking to add credibility and brand appeal. There are more than 22,100 exact match searches around the keyword, Boot. There are also more than 242m searches results per month for the term, “Boot” and significant traffic potential for the keyword match. Boot.com is a global domain brand and would add instant credibility and equity to your existing marketing strategies. As a industry dominant keyword, “Boot” could be used as the foundation for a newly developed brand and is attractively priced for immediate acquisition. To learn more about this opportunity, or potential other domain name investments, please contact us today for our extensive list of high-end premium .com domain name inventory. NameExperts.com is a boutique domain name brokerage firm that specializes in premium dotcom domain name inventory. It also provides expert domain valuation as well as buy-side and sell-side brokerage services. 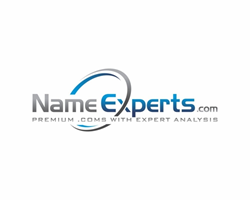 Name Experts provides comprehensive analysis based on market conditions, comps, trends and the anatomy of a client’s domain name.